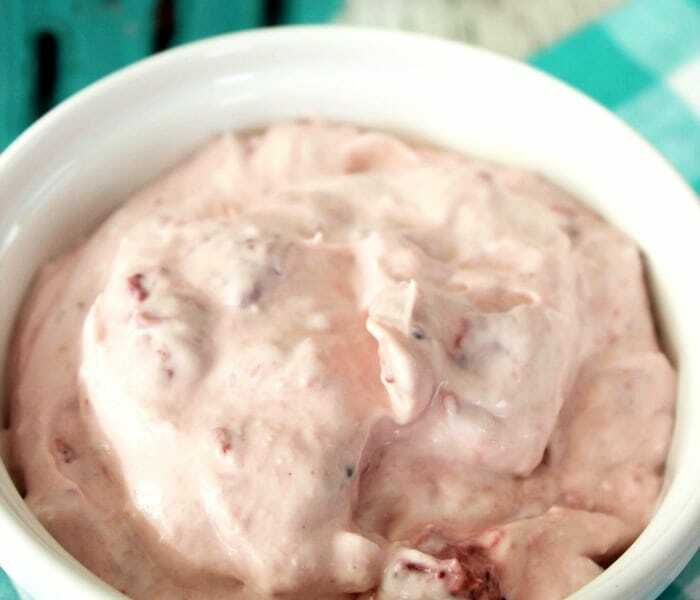 With Spring nearing I thought a great fruit dip was in order. 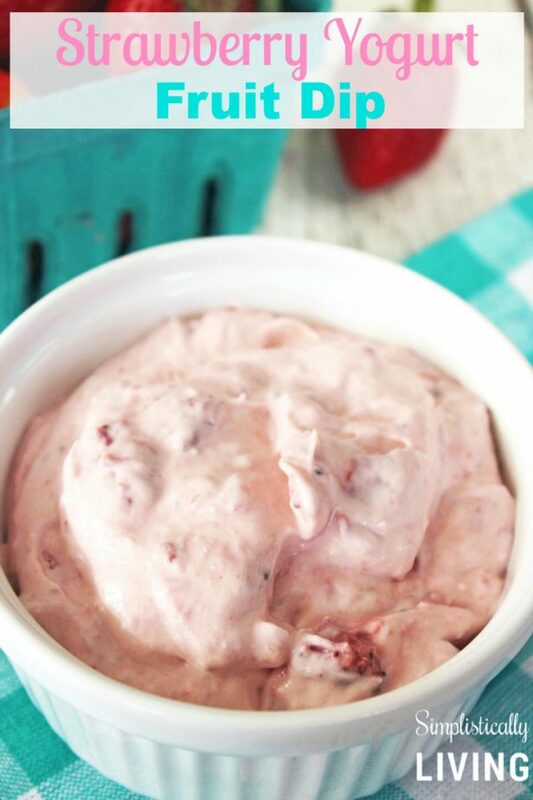 This Strawberry Yogurt Fruit Dip is delicious and the perfect dip for your next get together! Fruit Dip is great because you can use it in a variety of ways. Of course it can be used with fruit but it is also great with vegetables, crackers, bread, and much more. 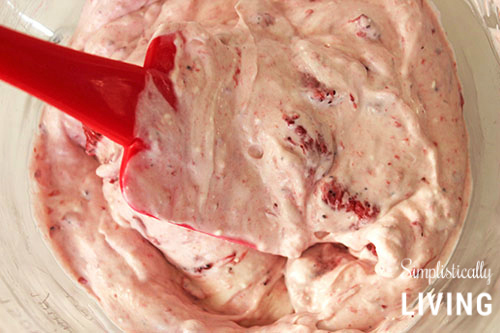 Since the strawberries and cream cheese make it a bit sweet, you can use it in place of butters and spreads. Hey make this and spread over your bagels in the morning! No matter how you use it, it is sure to be a hit at your next barbecue or gathering. Ready to make your own? Check out the recipe below! 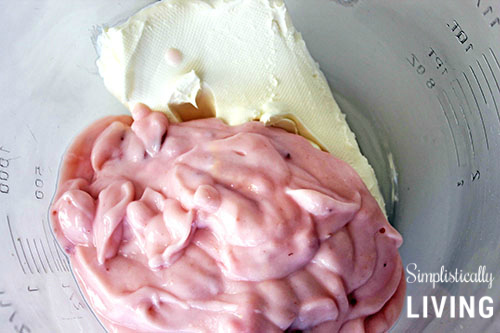 In a large bowl, combine cream cheese and yogurt until well blended. Gently fold in strawberries until evenly distributed. Serve with fresh fruit, vegetables or crackers for dipping. Enjoy!